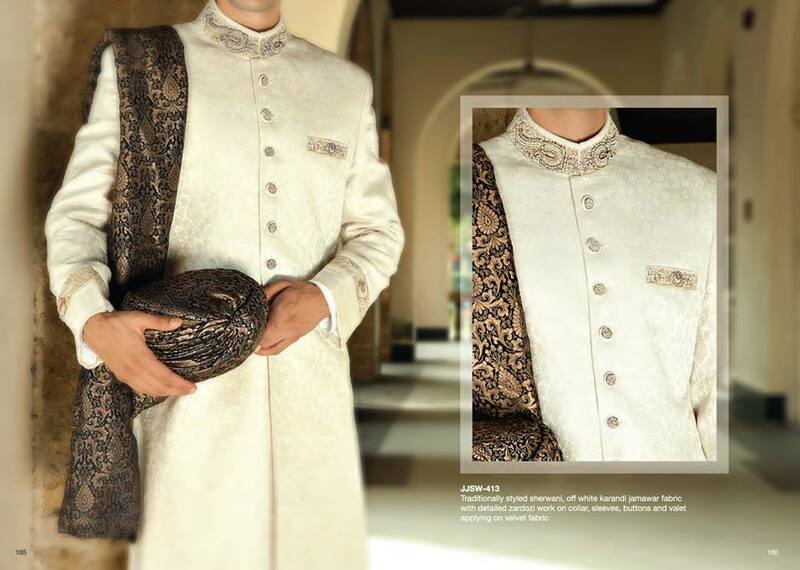 Are you looking for Pakistani sherwani designs for wedding? 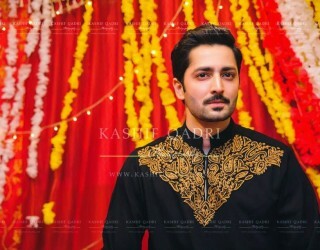 If so you are at the right place because this post features new Pakistani sherwani designs 2018 for grooms to look handsome on their very significant day of life. 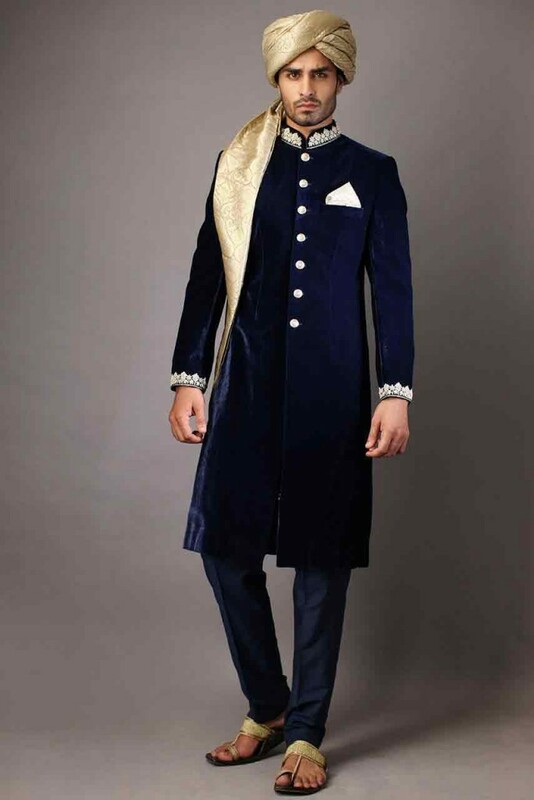 Throughout this article you will get close look on latest sherwani designs, sherwani prices in Pakistan with useful tips to buy sherwani to look handsome on your special day. 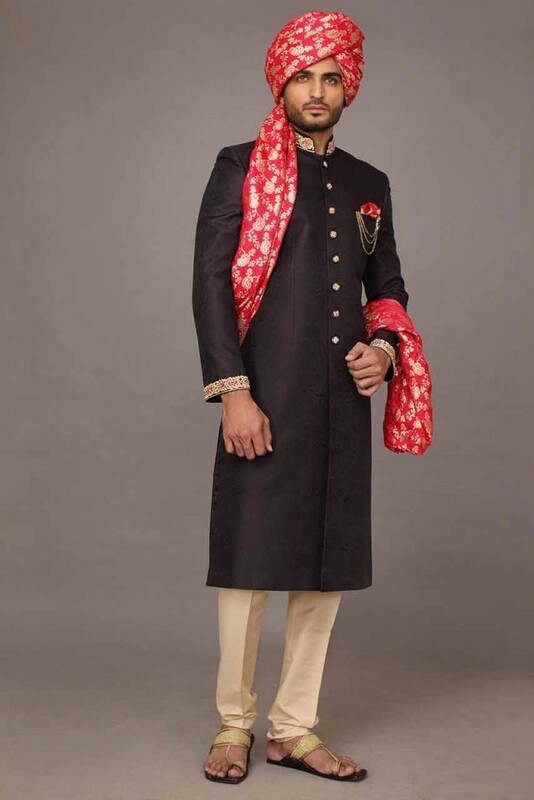 Sherwani is considered traditional royal dress for groom when it comes the barat day and it’s true because to look dapper it would be the best choice to dress up in beautiful sherwani. 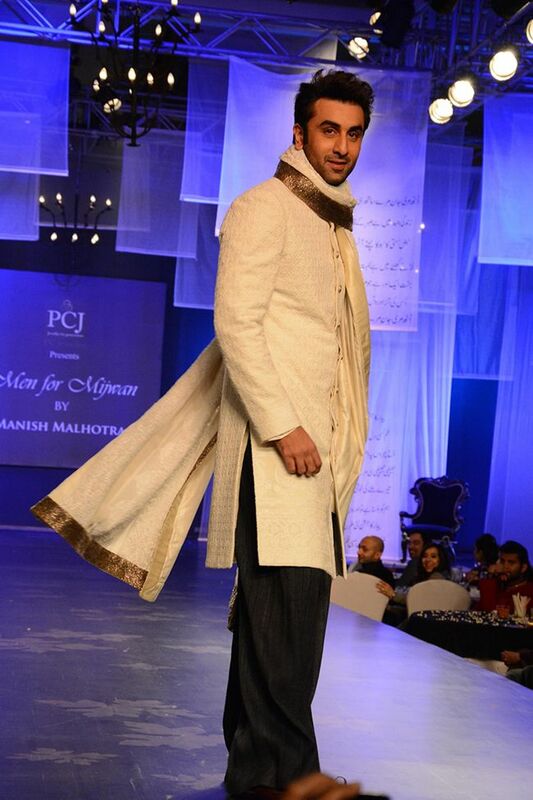 One important thing to look equally compatible with bride accessories your sherwani. 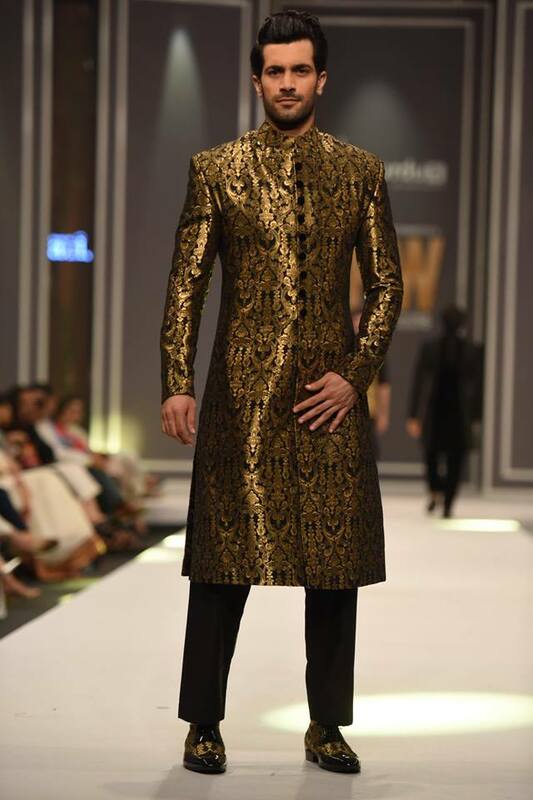 As we know sherwani look perfect for barat day but what for mehndi ceremony for this you can explore men mehndi kurta designs to get inspiration. 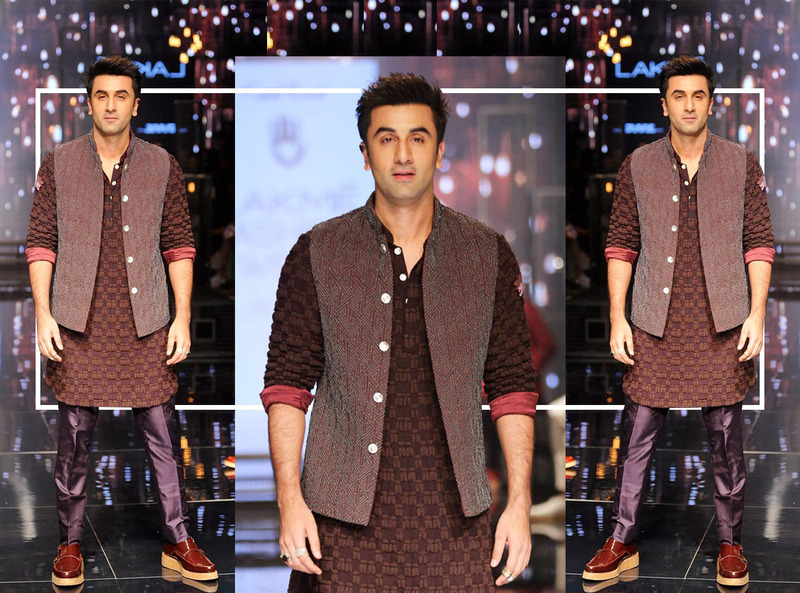 And for adding an extra tweak of style to your kurta design do not forget to watch waistcoat designs for men. 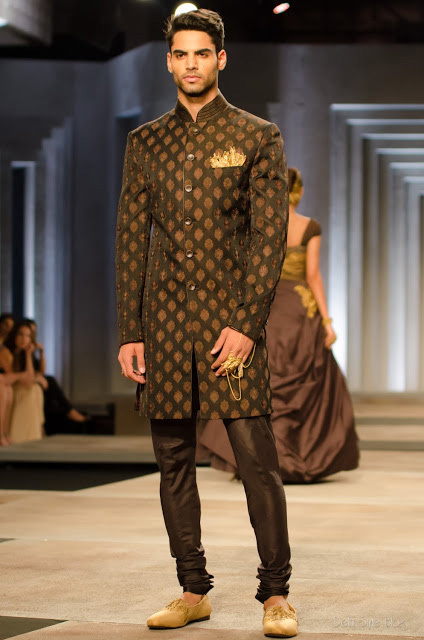 Pro Tip: Accessories sherwani with embroidered shawl, pocket square, lapel pins and turban to create an aura of elegance, accessories will give you an overall compound effect for that precious day. Pro Tip: Don’t forget to wear watch on your marriage ceremony because it shows you are a man of principles and values. 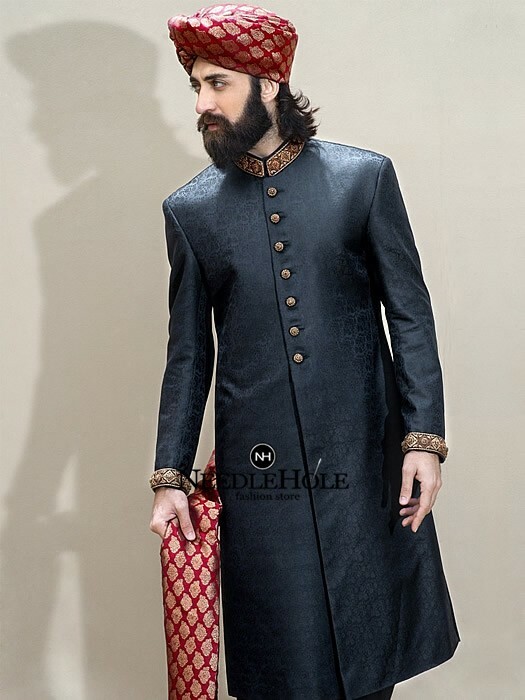 As this article is all about dulha sherwani designs I consider important to talk about different sherwani styles that are in vogue these days. 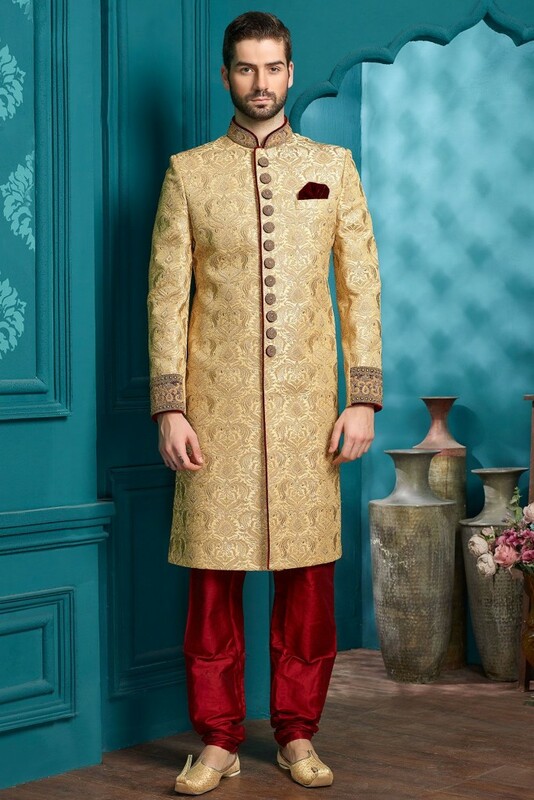 There are different sherwani styles one can actually go for when it comes to wedding an important tip you must note is clarify what suits you most. 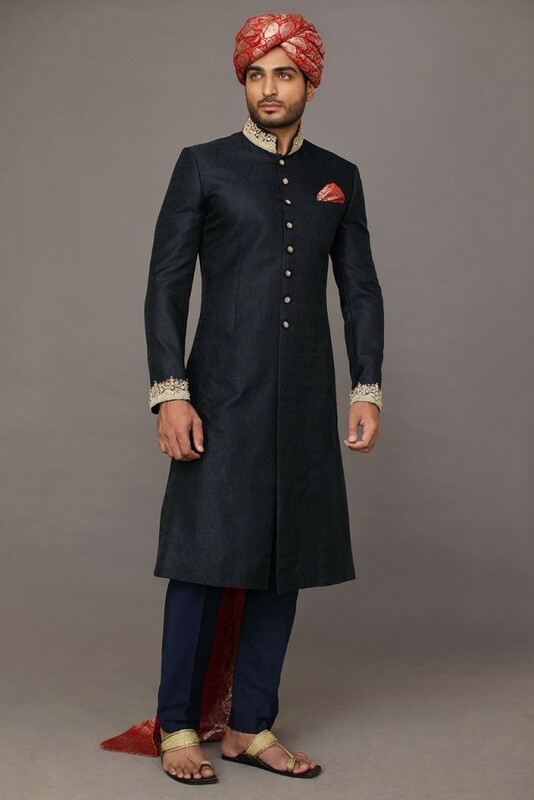 Following sherwani styles are most commonly available in Pakistan for wedding that you can buy from different designers and brands. 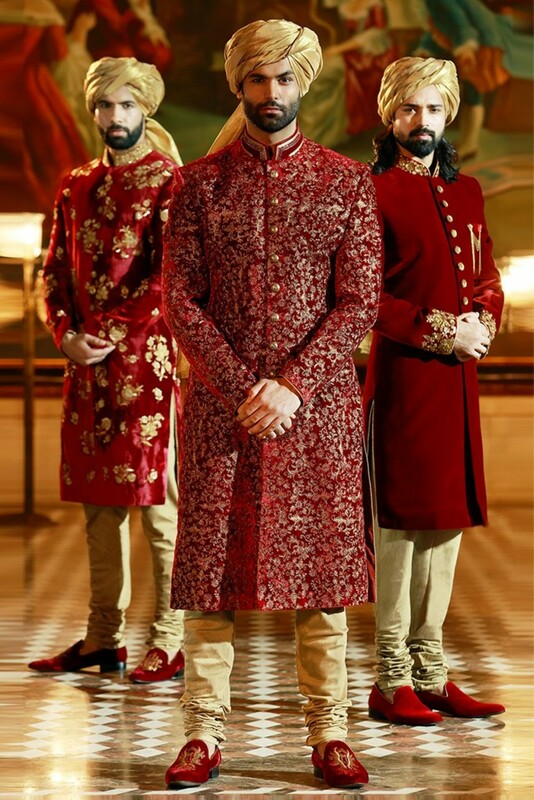 For more trendy groom sherwani styles checkout best men wedding dresses. 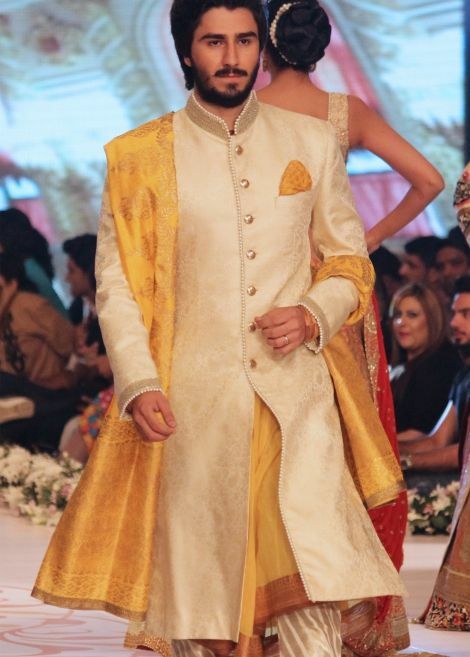 Pro Tip: Try all styles of sherwani before actually purchasing. 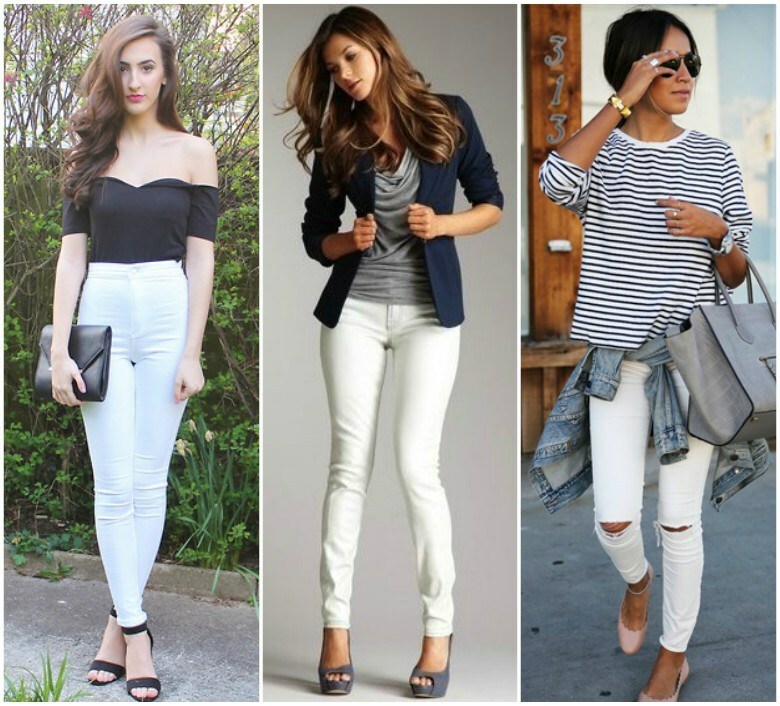 Pro Tip: Go with a friend or family members when going to buy your groom dress because they will help you know what suits you most. 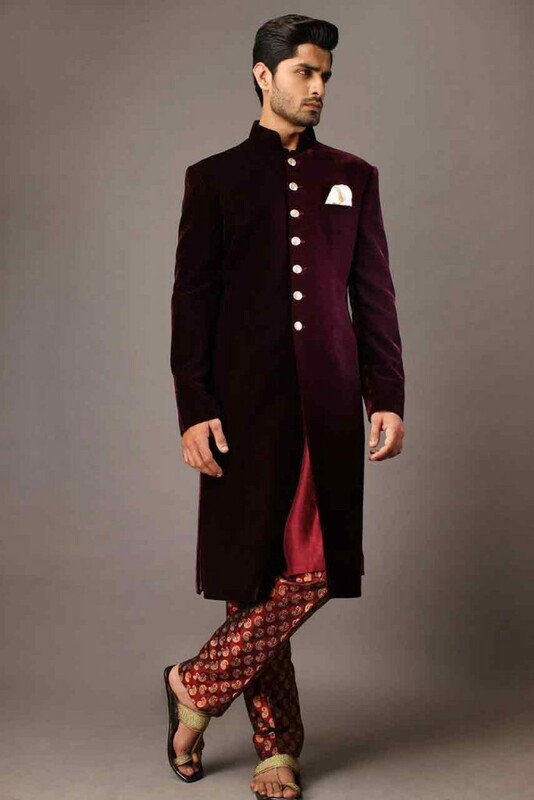 After style its time to decide sherwani color, color selection is the key important because it can make or ruin your special day of life so be conscious about color selection. 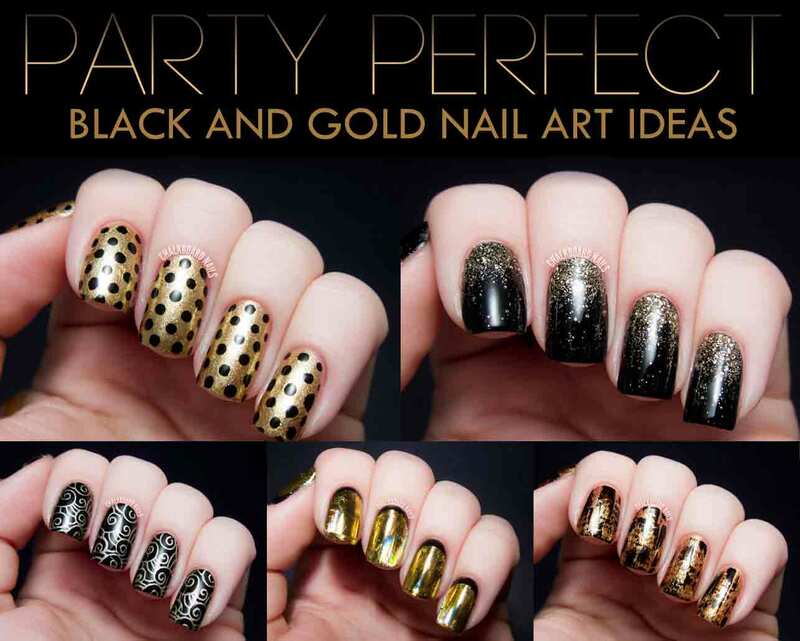 Try different colors light or dark and select whichever suits you the most with the help of family members or friends. 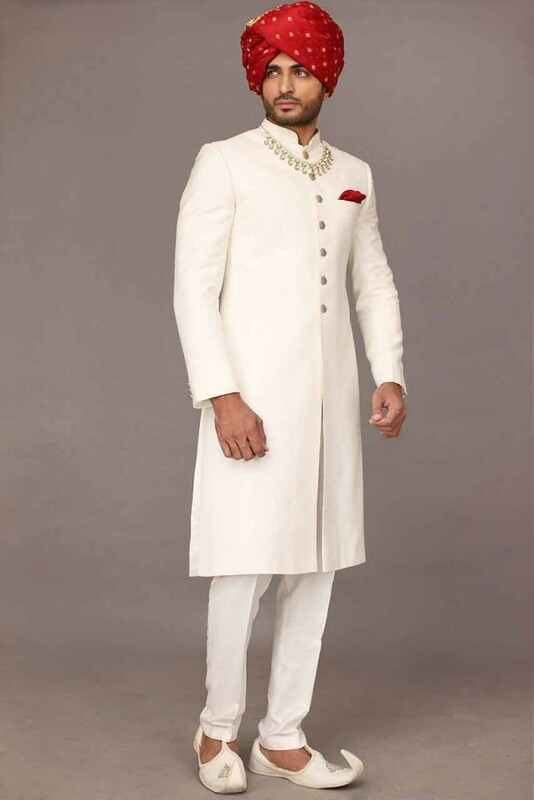 Pro Tip: Communicate with bride and select sherwani color that match or contrast with bridal dress, in this way you will look more smart and handsome. For example if bride would wear red lehnga you can go for off white sherwani with maroon turban and shawl to achieve a complete look. 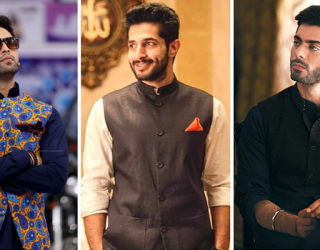 Now after discussing the style and color of sherwani it’s time to talk about the sherwani brands, designers and sherwani prices in Pakistan. 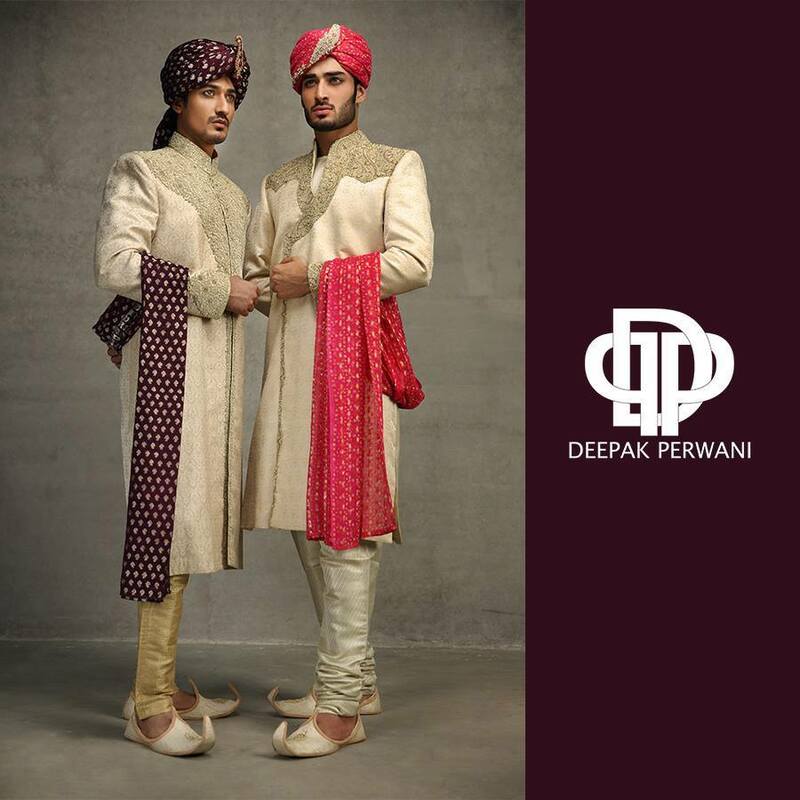 For more wedding sherwani designs watch the video below to get a dose of inspiration to achieve a dashing look for your special occasion. 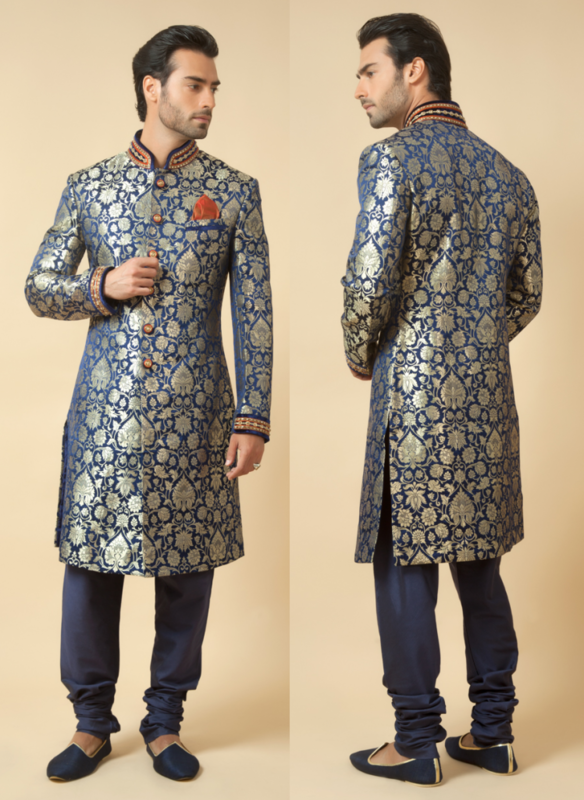 To shop wedding sherwani visit the online shopping stores or outlets in person. 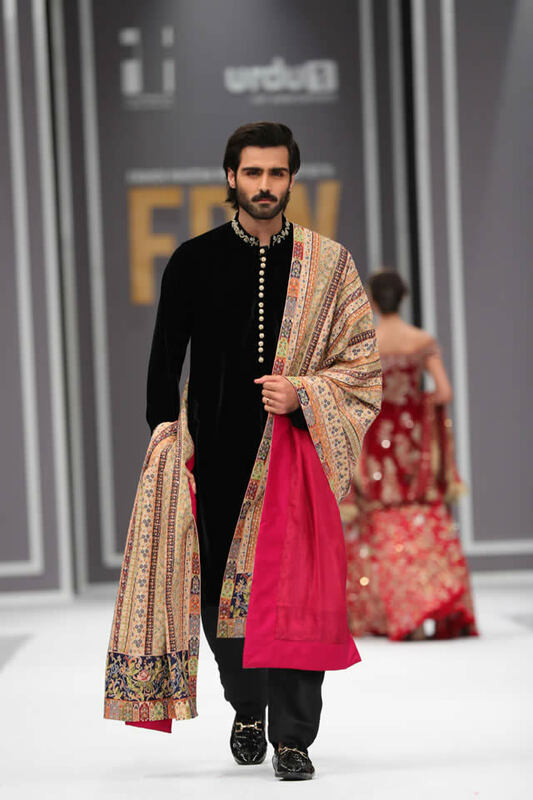 Junaid Jamshed, edenrobe stores are situated in various cities while Amir Adnan, HSY, Deepak Perwani and other designers are available in Lahore, Karachi and few major cities of Pakistan. 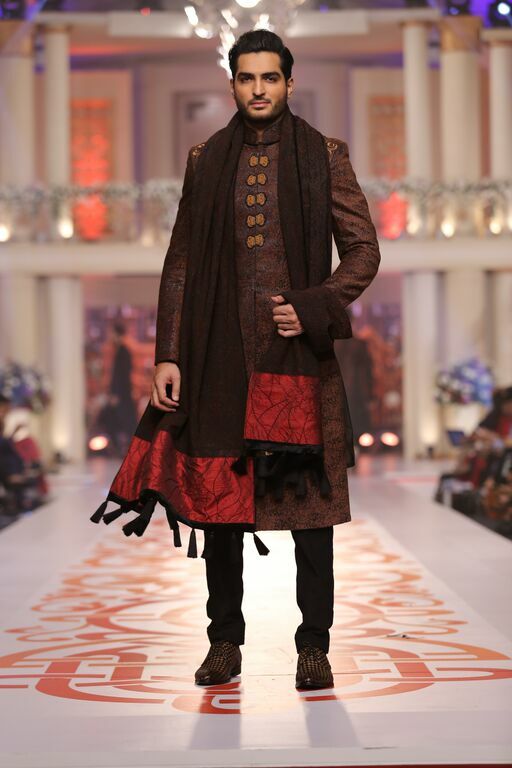 Sherwani prices in Pakistan range from low to very high depending on the brand or designer you chose to shop. 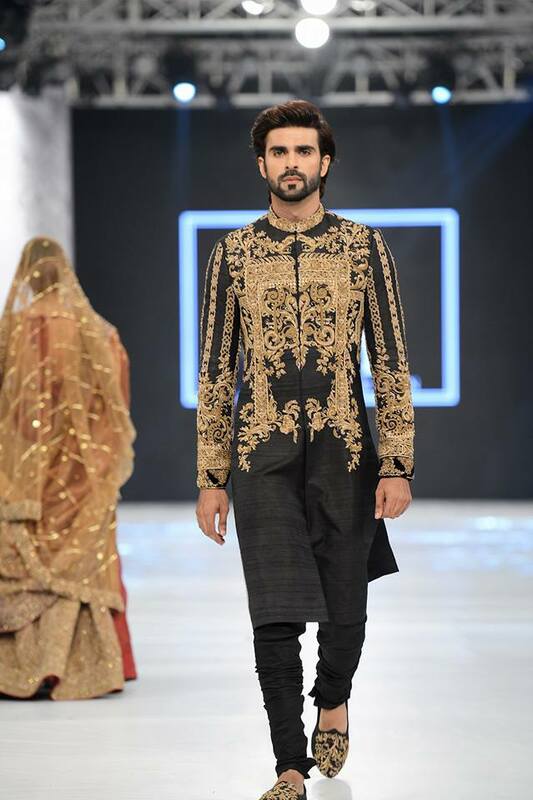 Many local brands like edenrobe and designers like Amir Adnan are providing wedding sherwani for dulha in economical prices. 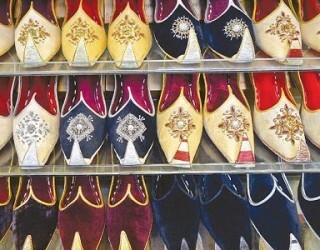 But the main factor in selecting a sherwani is budget if budget allows you can go for high prices too. 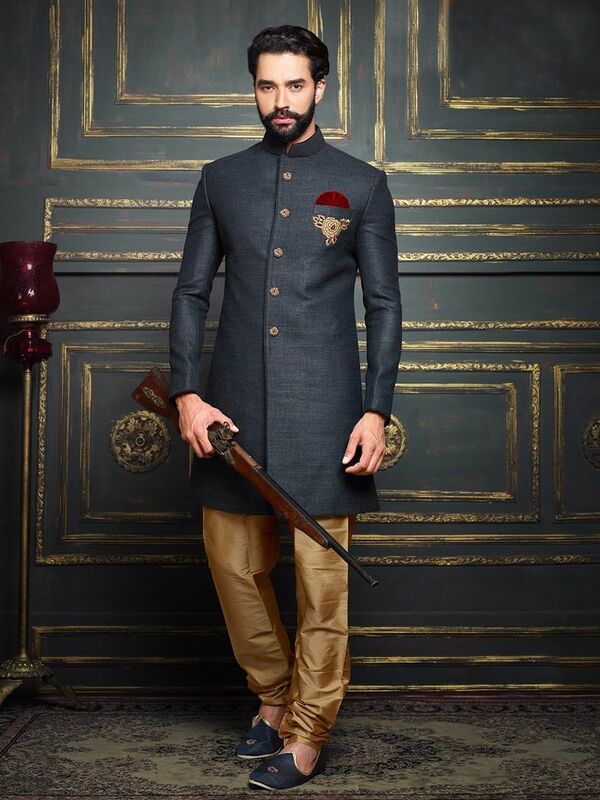 Below I have shared price range for groom sherwani to help you get an idea about the cost that different brands and designers offer in Pakistan. 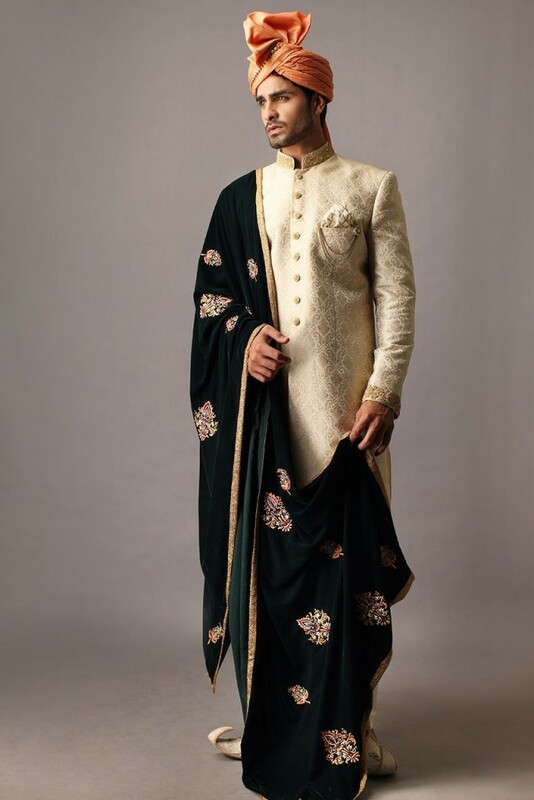 Above you had a glance on Pakistani sherwani designs and styles, hope you find this article inspirational and informative if so follow me on social media to get more fashion and style information. 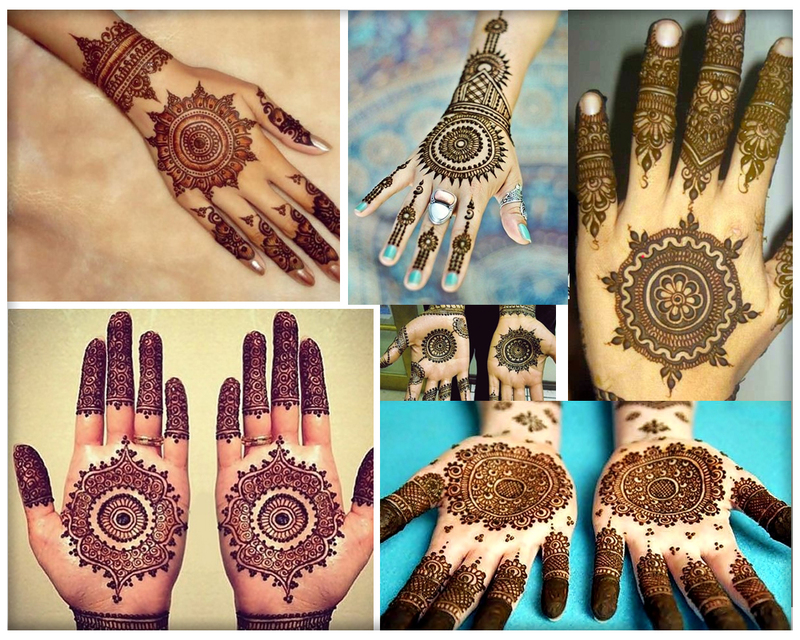 If you have not yet selected wedding mehndi kurta and waistcoat design I would recommend to checkout my following posts. 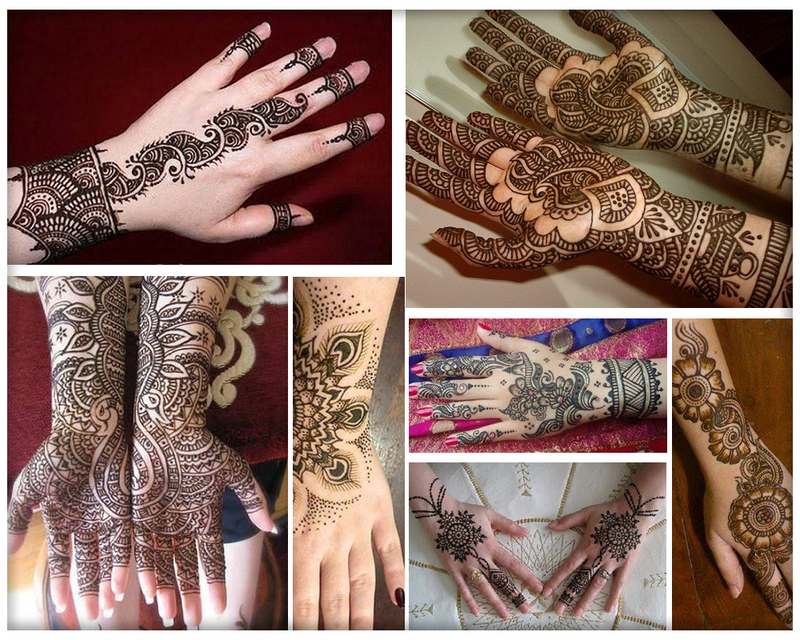 Keep visiting this website because I would be writing more about grooms in my future posts.